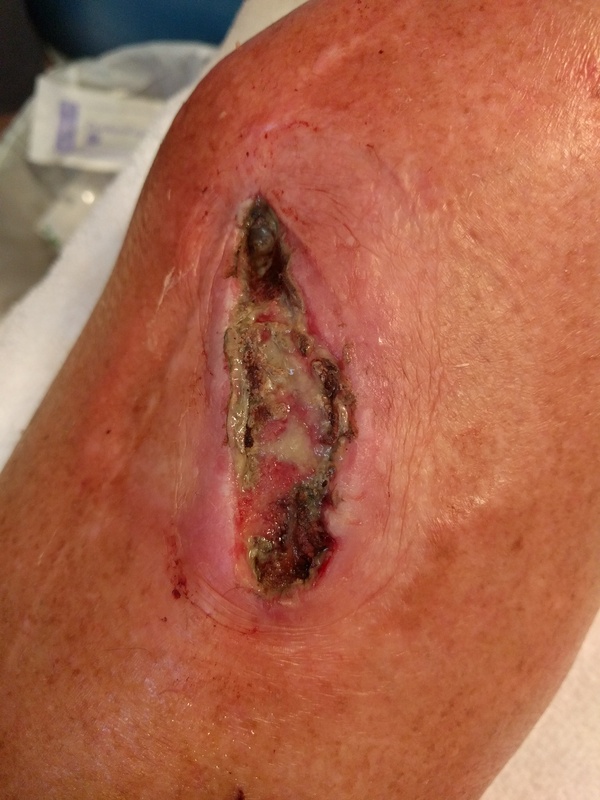 A Hole in my leg - 38-years? The other medical/health issue I've been having this year is with a wound on the front of my right shin. It just won't heal. The would was from when I slipped on the last rung of a ladder, and tore a small amount of skin from the scar tissue on the front of my leg. I mentioned it in my "2017 Starts Next Week" post that I wrote before I did the Tri Boulder race. After getting out of hospital from my heart attack, $6,000 in medical bills seemed small fry, when I'd already received $78,400 worth of bills, so I decided to pay the Boulder Wound Healing Center a visit. 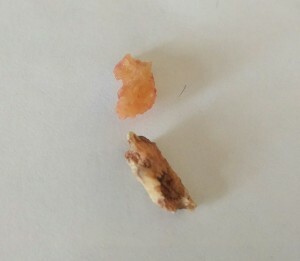 After removing the dressing, cleaning it up, and removing another of what I thought was more skin necrosis, the attending nurse declared there were a couple more pieces, including one that was partially covered. The consensus was these were not skin necrosis, but bone fragments from my 1978 double compound fracture, that had spent the last 38-years coming to the surface. 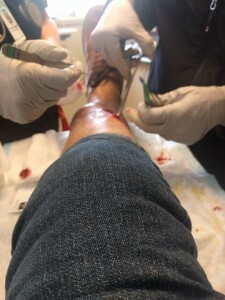 Turns out there was a Doctor available, and before I knew it, my jean leg was rolled-up, scalpel unwrapped and an incision was being made. Eventually they cut 3-more small pieces of bone fragments out. In the end the hole was actually both much longer, and much wider than it had been. It's now 10-weeks on, and it's healing, but very slowly. Not helped by the anticoagulant and blood thinner medication I'm taking for my heart. It's not clear how much longer it will take to heal, on my September 6th review, they said maybe another 6-10 weeks. And yes, I wrapped the dressing, which itself a 5x5" padded square, in a 12x8" tegaderm and raced including the swim at Oktoberfest. More on that in a future post. So far the bills have come to $251.60+$151.20 = $402.80 for two appointments. I've also spent some $100 on dressings. For the inquisitive, there are some pictures behind the cut.